Don't confuse Canna Cola with Coca Cola. This is something only the doctor can order, and we don't mean Dr Pepper. Clay Butler, a commercial artist in the Santa Cruz area, is heading a bid to launch a product called Canna Cola, which he hopes will be on the market next month. 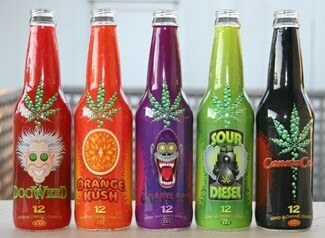 The soft drink contains THC, the psychoactive ingredient in marijuana, and will be marketed toward medical marijuana outfits and its patients. Soda pot, if you will. Weed infused drinks are nothing new. A couple of local dispensaries said they've been available in San Diego for several months, and a Denver soda company is already putting out Dixie Elixirs, which come in several flavors.